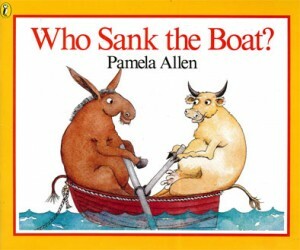 Sandpiper Publications: Who sank the boat? Who sank the boat? is a humourous story told in rhyme, with a rolling, forward paced tempo, that leads children on a journey of discovery to find out 'who sank the boat'. The oracy book pack for Who sank the boat? contains a lesson plan and all supporting resource materials for each activity.